The Sitka Local Foods Network education committee wants to help families in Sitka learn how easy it can be to grow some of their own food. We are looking for two families of novice gardeners who want to learn about and try vegetable gardening in their own backyard through our new Family Garden Mentor project. The Sitka Local Foods Network will provide all materials — soil, lumber, seeds, etc. — free to the participating families. Families will be expected to provide the labor and enthusiasm for gardening. Interested families must meet four requirements: 1) they must be first-time vegetable gardeners (this project is meant to help people who are just starting to garden), 2) they must want to try vegetable gardening and be committed to participating throughout the summer, 3) they must own their own property, and 4) they must agree to let others come and attend classes at their property. Other criteria will also be used to help select the final two families. Families that are not selected will be placed on a waiting list in the hope of future continuation and expansion of this project. Workshops will start in April with selecting the site and run through September’s late harvest. 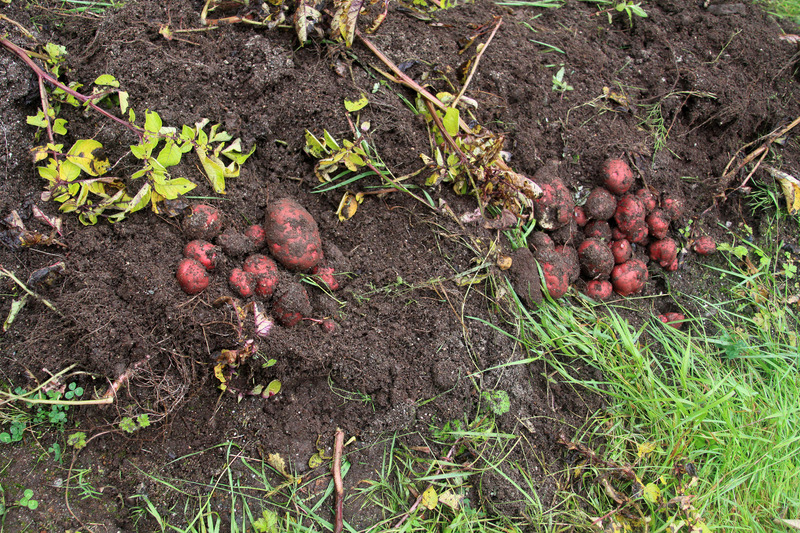 Classes will focus on some of the easiest-to-grow vegetables (and fruit) in Sitka — potatoes, lettuce, kale, and rhubarb. Families interested in participating should contact Michelle Putz at 747-2708 and provide a name, address, and contact phone number. 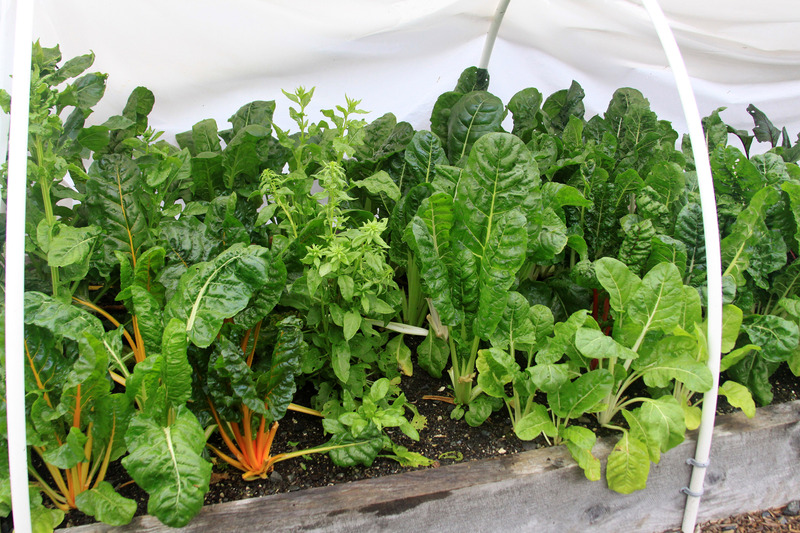 This entry was posted in education, Gardens, Sitka Local Foods Network events and tagged family garden mentor project, first-time gardeners, kale, lettuce, Michelle Putz, novice gardeners, potatoes, rhubarb, vegetable gardening. Bookmark the permalink. We would love to participate. We have never grown veggies from seeds and we were recently gifted a high tunnel that we are trying to learn to use. We have a larger family and are looking for ways to make providing for our kids easier. Our application period already closed and we have tentatively picked our two families for this summer (we are finalizing details). Please watch our website, because we will be offering several classes and hands-on training sessions during the spring and summer. We will be announcing our classes with the mentored families soon, and you can attend them. There also will be hands-on training at St. Peter’s Fellowship Farm in a few weeks. Also, there are some gardeners in town who might be able to provide some consultation. The Sitka District office of the UAF Cooperative Extension Service, http://www.uaf.edu/ces/, is located at the University of Alaska Southeast Sitka Campus, and it has a variety of educational material you might find useful (and a lot of it’s free). Please keep an eye on our website, our Facebook page, our Facebook group, and the local news for updates on different classes we’ll offer.